This week our community began the study of C.S. Lewis. “When have you experienced C.S. Lewis’ joy?” we were asked after watching an excellent video introducing his life and thought. This question has been playing in my thoughts all week and has been one of the ways I’ve seen God this week. 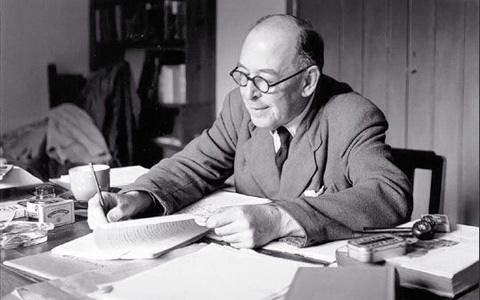 Joy was the most important and essential theme of Lewis’ life and writing. His autobiography is called Surprised By Joy. When he was a kid, he had an experience which became his first recognition of his deep inner longing for Joy. His brother Warren had found a biscuit tin lid, filled it with moss and then made it look like a toy-sized garden or forest by placing some twigs and flowers in the moss. Warren showed it to his younger brother and “Jack” (as Lewis was called) had a pang of joy. Germans call it Sehnsucht, which also means “longing”. Lewis wrote many years later that it was the most significant thing that had ever happened to him. The tin lid creation was probably nothing much in a literal sense, but somehow for a few moments, Lewis had a window to God. For a few moments, that moss-filled biscuit tin became a picture of Paradise and awakened in Lewis an inexplicable desire. Remembering it throughout his life, it became a primary means by which God would draw him steadily to himself. I’m certain that we’ve all had experiences like this. Usually they are very brief moments. As soon as we begin to notice, they are over, and we are left with the memory, so powerful that it can stay with us all our lives, making us wonder about God. Even the most agnostic of us, if hard pressed to give proof that God exists, would begin to describe these experiences. The experience I remembered was so tiny, it reminded me that it can be as common place as a biscuit tin. Children’s literature wasn’t a huge commodity in our house when I was growing up. Bible stories for kids and books of german poetry and stories were our fare. Among my favorites was one book of german poems and I remember looking at it often. One day I noticed a bird in one of the pictures that I had never seen in previous viewings. I can still see it in my mind’s eye. Seeing this gave me such pleasure that I pondered it for hours, savoring that moment of unexpected joy. The joy of a child is uncluttered and pure. Maybe it’s no surprise that as an adult, I’ve become an avid birdwatcher. I’ve had a few other experiences like this. Walking into the choir loft one Sunday morning in the 70’s, I was lifted above the usual angst of teenage life when I heard the congregation singing “Great is Thy Faithfulness”. It felt like a window to God opened up as the song touched my very being. It lasted only a few seconds, but I’ve never forgotten it. I also experienced this after my son Joel was born. It was Christmas Eve, 1990. Most people were asleep and the hospital was quiet. Looking out the window at the snow filled streets of Notre Dame Avenue from the Health Science Centre, I felt a deep awareness of God and a quiet and powerful sense of peace. Molecules seemed to be parting and I was seeing something deeper than my normal consciousness. I’ve written before of my beloved university professor Carl Ridd, a brilliant and wise teacher of religious studies. He used to have a phrase that he repeated often. “Tumm Tee Tumm,” he would intone, describing the life of our normal consciousness. We often go through our day to day with eyes half shut, unaware really of life’s depths. Eating, sleeping, preparing and eating food, going to work, paying taxes, taking care of the kids – all the while forgetting that life is infinitely profound. Experiences of transcendence such as Lewis described serve to awaken us, reminding us that there’s Something More to long for. Until the age of 32, Lewis was an atheist but the biscuit tin joy kept wiggling into his consciousness, reawakening in him a desire. He described Sehnsucht as “the inconsolable longing” in the human heart for “we know not what”. 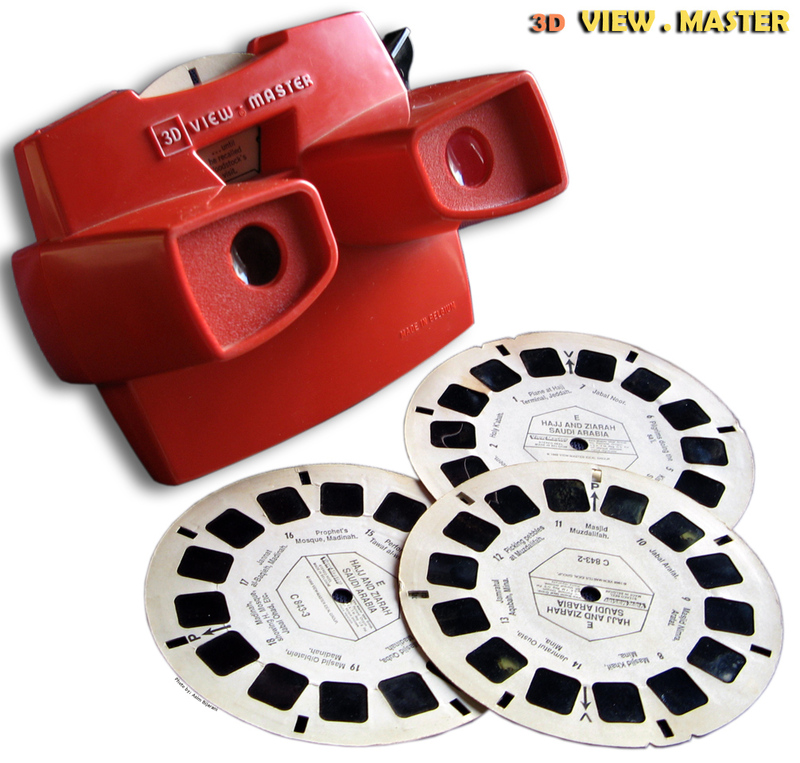 As children, Linda looking through the View Master or Lyle staring in awe at the garden or myself marveling at the bird in the children’s book would not have known what this joy was all about. But all these years later, I’m beginning to get a hint. I know that my heart’s longing is being met in the peace of heart I’m discovering in God. It’s nothing I could describe with empirical truth to convince a skeptic. I just know that more and more, I understand the old song, “I once was lost, but now am found.” Nothing I else I have tried matches being found by God. I’m found when I’m with my faith community – talking and reflecting on faith, singing, practicing with our music group, writing this blog. This weekend my father-in-law is passing away in a hospital in Medicine Hat and Lyle is there, sitting with his family. The prayers and love of our community carry us through this difficult time, assuring us that we’re not alone. It’s not a joy that is without pain and struggle, but I know I wouldn’t want to be anywhere else. One of my favorite quotes says it best. Wherever you find yourself this week, may your experiences of joy lead you to the Something More of God, and may your heart find rest. 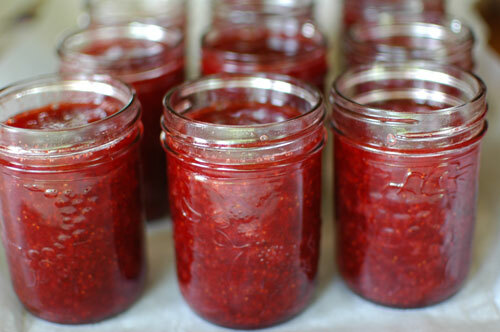 This weekend my husband Dave and I drove out to Boissevain with Vanessa and Evelyn to make strawberry jam with my mom. For three hours we experienced what a road trip with teenage girls is like. Carefully car-applied makeup, an interesting and diverse selection of music, and a lot of laughter. We were filling up with gas, having arrived at our destination, when Evelyn asked why we had invited them. Ya, it’s kind of weird, but in a good way, Vanessa added. So I told them about one of the sharing circles that Janice, the aboriginal support teacher at the high school where I work, had led this spring when she encouraged the students to take the time to talk with their grandparents, asking them about their lives. The idea had been that there might be something for both the student and elder to gain. I thought about my mom and all the practical knowledge she has to share. And in time I thought about Evelyn and Vanessa, students with whom both Dave and I have worked, who are quite open to making connections. When Evelyn heard about this in the car, she mentioned that she had written an essay this year on the benefits of elder-youth interactions. My parents welcomed the girls and soon we were in jam-making mode, producing more than 20 jars of jam. I’m not sure what all happened during those three hours, but as we drove out to the lake for a late night dip, the girls cried out from the back seat, your parents are adorable, we feel so lucky, like we’re being spoiled. We laughed. They had just crushed and stirred and been scalded by strawberries for three hours. Not exactly a pampering session. After a bit of silence they tried again. We don’t think you understand how we’re feeling. We never get to be treated like this. Could you please adopt us. As cute (and clueless) as that wish was, it may also be a reflection of a dearth in their lives. Swimming in the lake, Evelyn said she was grateful for a chance just to be silly and play. They were very silly. But what has also struck me about her adoption comment are the deeper implications of desiring a more true family where we are known for who we are, free to be as we were created to be. I wonder if what initially seemed like a playful comment holds the seeds of a spiritual journey for them. That is rather hopeful. When we got back to my parents’ place, I mentioned to my mom how they could now consider themselves adorable. My mom beamed back, we feel so privileged to have been part of tonight, she said. In the morning when my dad said goodbye to Evelyn, he said, I’d like to have a grand daughter like you. Would you let me adopt you? In bed that night I kept thinking about the Kingdom of God, grateful that these two unlikely pairs of people brought such joy to each others’ lives. And grateful for you Dave and the ease with which you engage and show care. Thanks. Lately my thoughts have been drawn to a memory from the 70’s. It has bubbled up because our community is about to begin a new study of the great writer C.S.Lewis. The memory has made me grateful this week that God provided for me in such a rich way so many years ago. I had several communities growing up – my cousins, my elementary school, the friends on my street and another is definitely my church community. I grew up in a large, Mennonite Brethren Church in North Kildonan (Winnipeg, Manitoba). I have many good memories of that church, made by caring people who showed me God’s love. Being such a large place, you’d think someone could never also be lonely, but my teenage years there are marked by memories of solitude. There was an outer and an inner me in those days. The outer me had a blast in “Young People’s”, but there was an undercurrent of questions and ponderings that I can’t remember telling anyone about. Adolescence is usually a tricky time, but likely my experience was also influenced by my family’s grieving the death (from leukemia) of my oldest sister Hilde. A knowledge of death and impermanence began to shape my thoughts after her death in 1968, and our family’s sadness brought some quietness to my normally chatty personality. Our family rarely talked about our loss, but I began to find myself wondering about things. Where was God? How could I experience God? Was I “saved” like they said I was after I “accepted Jesus”? Was I being “good enough” to get in to heaven? Sitting in church one Sunday morning, I thought I saw a pointing hand illuminated in the Exit sign above the door. Like God, this vision seemed mysterious and unexplainable. Was there a destiny the hand was pointing me toward? The Sunday preachers always seemed sure of answers, but for me their loud words never seemed to touch on these ineffable realities. Thank God for libraries. Like modern day labyrinth or meditation walks, walking the aisles of a library can be a sacred experience. They let you meander and ponder with no pressure to assent to another person’s agenda. As I discovered the church library, my searching heart began to find space to breathe. Our church’s library was in the basement across from the boiler room. The three spinster sisters who ran it didn’t mind a gangly blonde teenager hanging out among the books and they never grilled me with questions like I feared they would. Like a magnet, I became drawn to a certain shelf. If the church hadn’t burned down in 1998, I could still take you to the exact place along the basement wall where the books by C.S.Lewis were housed. To this day, I remain grateful that a conservative church allowed these books into the library. 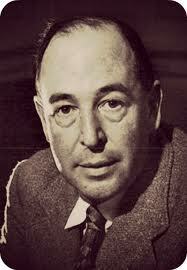 C.S.Lewis is considered one of the greatest 20th century Christian writers, so perhaps I shouldn’t be surprised. Here was an author who wrote about mystery and who presented a Christian faith that was complex and nuanced and thoughtful. To be honest, I can’t tell you the name of any one book I actually read. Most likely I picked up Lewis’ most famous book Surprised By Joy, the book where he chronicles his coming to faith. I was surprised to hear someone describe himself as a “reluctant convert”. The book describes his early childhood and also recounts his leap from atheism to theism and then from theism to Christianity. I think the thing I was most struck by was the depth and complexity with which Lewis wrote. 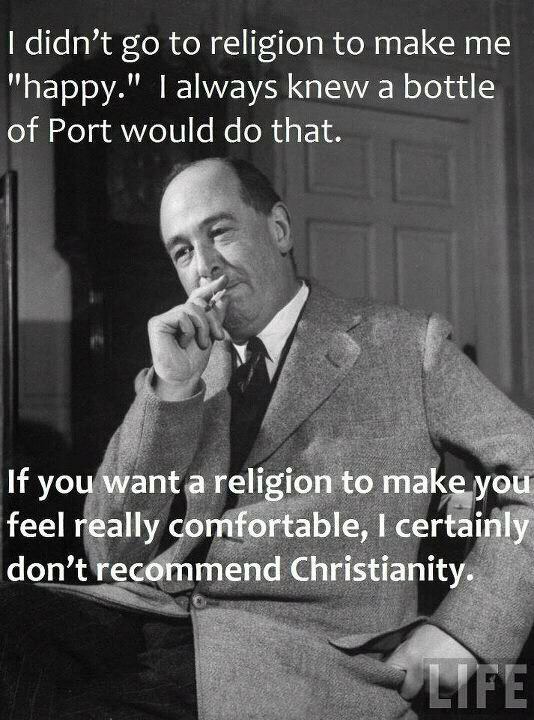 In my opinion, he was and is a tremendous spokesman for the faith. Our church seemed bent on answers and I felt like an outsider mired in questions as I was. 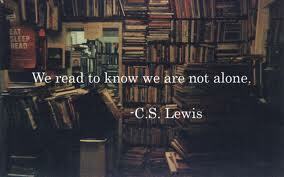 Within the pages of Lewis’ books, I found a friend who was content to search and ponder. His coming to faith only happened at age 32, and I didn’t think he would have called it “accepting Jesus”. His faith account was more like God kept searching him out, not leaving him alone he conceded that there was a God. 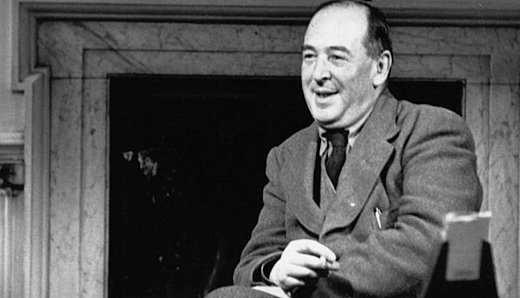 Not too many years later, when I was studying at University of Winnipeg, I took a children’s literature course and one of the Narnia books by C.S.Lewis was on the reading list. On my daily bus commute from the suburbs to the downtown campus, I began to discover this amazing series and marveled again at the breadth and wisdom of this man’s thought. God has found me so many times in my life, and I always remain grateful that this sacred place was given to me during such a formative time of my life. It’s Saturday morning and I am at my favorite summertime spot, the balcony on the second floor of our 105 year old house. Coffee is at my side, the blue jays are regularly coming to grab the peanuts I’ve left for them, and my computer is perched on my lap. It’s only 8 am but already the sun is hinting at the 30 degree temperature it’s going to be in just a few hours. I am pondering the week’s events, sifting through the many blessings of the week, wondering how to narrow it down for another blogpost. I’ve seen God in so many people and events. A task without a vision is a dream. A vision without a task is a drudgery. A task and a vision is the hope of the world. August led my friends to suggest I try volunteering with Habitat. I signed up but with almost no expertise in the trades, I was nervous and unsure of how things would go. I think God was looking out for me because Habitat placed me with the best crew. They were a Winnipeg church group and had the best camaraderie among each other. Joking around and an openness to patiently explaining each task to newbies like me was the order of the day and I soon felt right at home. I learned that building a house is not rocket science – it’s just many small tasks put together bit by bit. Best of all, they were tasks that I could do. Over and over through the years, I find that there are many people like this – people who make each other feel welcome and at ease as we go about Habitat’s vision of creating a world where everyone has a safe and decent place to live. One of the things I love is talking to people while our hands are gainfully employed. 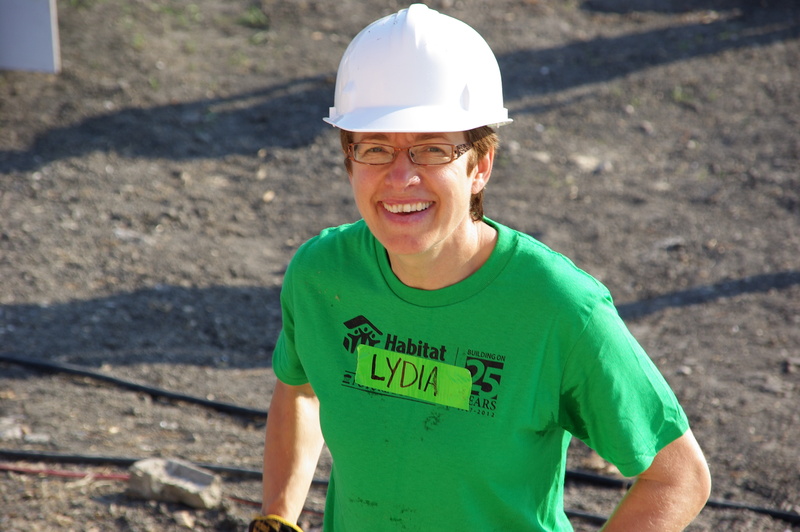 My favorite question is “What led you to Habitat?” Again and again, I hear of people who want to give their lives to “something more”. One woman said she volunteers every year to honor the memory of a friend who died of cancer. Many retired people want to have something to still give their time and energy to. Inmates from a local prison come as part of a government program to give them a trade to replace their former lifestyle. There’s a song I’ve been pondering lately called “The String That Ties Us”, by Beautiful Eulogy. It is basically an inspiring sermon set to music and uses the analogy of a kite. If a kite could feel, it would feel the exhilaration of flying, as well as the annoyance of the string that tethers it to earth, supposedly limiting its freedom. Without the string, however, the kite would soon be adrift and in tatters. This string is love. Habitat for Humanity is one of those kite strings, connecting me to something more than my own ego. The vision that so many carefully nourish is a gift, and this week I have been grateful to God for this place which is a window into the kingdom. Please listen to the song here. Beautiful Eulogy’s amazing album is also a free download. It’s the official first week of holidays. 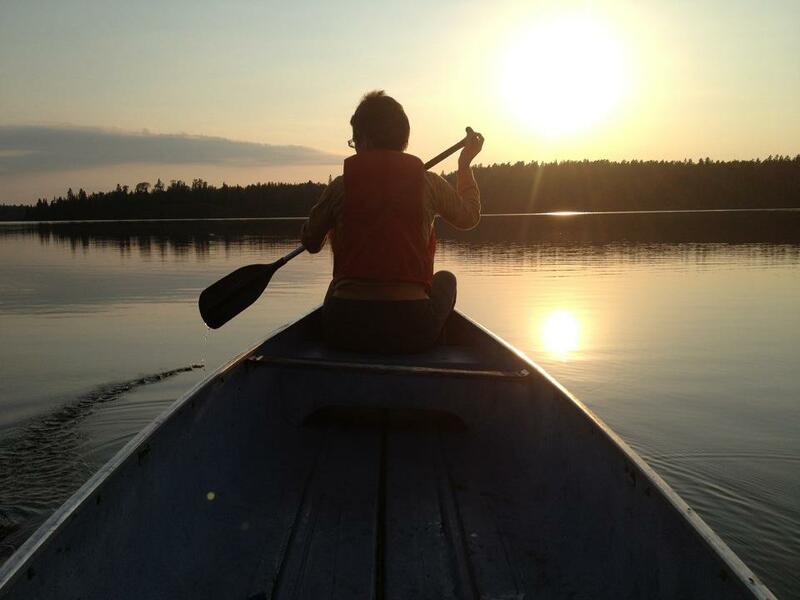 The seemingly endless year-end tasks and interactions with children have been replaced by the restful sounds and sights of nature out here at High Lake. A wonderful diversity of birds sing without ceasing, including loons with their haunting tremolo. The glassy lake mirrors the deep green forest and cools us for all our swims. Every window of the cabin offers pristine views of “shield country”. If I wake at night, I hear only the rustle of trembling aspens and nighttime animals, not the restless sounds of the inner city at home. “Blue lake and rocky shore, I will return once more,” were the lines of a childhood song describing this area, and I say an inner yes. Not too many weeks ago, I had an emotional meltdown one Wednesday evening, where a lack of faith felt like it was getting the best of me. Our community rallied to shore up my faith, and Bev said something that came back to me on the High Lake balcony where I’ve been sitting each morning for my quiet time. “It’s like you need to re-read all your blog posts,” Bev said to me, recognizing that I’d lost perspective. The end of the school year is a time for reflection, and I decided to take up Bev’s suggestion. The lack of internet connection out here is no obstacle as I’ve gone to my computer files to read each month’s entries, starting with exactly one year ago. As I write this, I’ve gotten as far as May, 2012. For many years, I’ve had a December tradition of re-reading the journal entries of the year. I always read with a certain wince on my face as I see all the ups and downs of the year, but reading the blog posts has been different. They have been a gift to me as I hear the clarion call of faith in each one. More than once I’ve teared up and felt stirred to a deeper faith as I’ve remembered so many Words and experiences that kept me steeped in God’s Story all year. What do others see after reading my blog? I’m sure that I come across much more worried than my faith words would suggest. My inner state of anxiety and doubt belie my faith words. One day not long ago, a co-worker said to me at recess that I seemed frustrated and that I often had that look on my face. “Oh oh, she’s onto me,” I quickly thought. I’ve been thinking of this contrast as I’ve re-read my blogging words this week – this gap between my deepest faith and my too-often lived experience of doubt. Normally, my first response at this hypocritical contrast is to feel shame. Why can’t I have more faith? Why am I so prone to stumbling? As if in answer, the universe gave me something to address my dilemma. I read a fantastic book called Broken, a memoir by William Cope Moyers. My friend Cal told me about it a few months ago, knowing it was just the type of book that I loved, and I’d been looking forward to reading it. The subtitle says it is a story of addiction and redemption, and tells the story of more than a decade of drug and alcohol addiction and how God found and healed him amid the destruction of his life. As I settled in at the lake, I spent hours gripped by the author’s story. 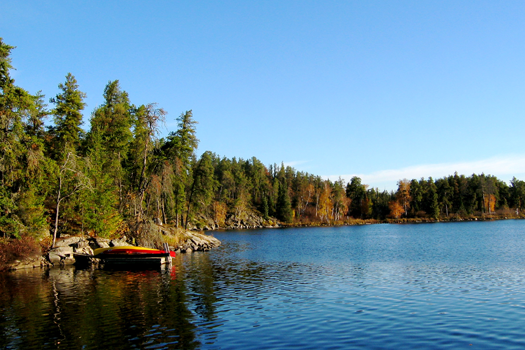 I was surrounded by birds and a calm, blue lake, but my imagination was filled with crack houses and seedy streets. It was difficult to read of his downward spiral into the world of addiction, and though the subtitle promised redemption, I couldn’t figure out how it would happen. Each turn of the page seemed to be one further step down into destruction. As I contemplated my own shame at not living what I believe most deeply, I saw myself mirrored in Moyers’ story. Raised in a solid home, he had been surrounded by deep faith and love. Everyone had such hopes for his life and his gifts of leadership were recognized early on when he was baptized. Yet there was always a shadow following him; a sense of inadequacy that seemed to be fixed by drugs. It was a love affair that exacted a huge cost of course. Drugs are a slave master dressed in angel’s clothing. His shame only deepened as he relapsed again and again, even after finally getting into treatment and a 12 step program. He despaired of ever getting out of his hell hole. Addiction is a progressive, incurable disease, and he feared that one more relapse would be the end of him. I’ve never been addicted to drugs or alcohol, but the story still gripped me. I identified with the shame he wrote about; that sense of failure at living up to what I believe. I write eloquently about faith, but does my talk equal my walk? Do I really believe even when tough times hit? Peace came to his soul at that moment, replacing all the anxiety and failure, and it changed his life. There was nothing left except what the 12-steps called “One Thing”. For him, “One Thing” was the need to keep sober. Keeping his focus on “One Thing” was his redemption. ever worry about my sense of failure. The scripture says that “Darkness is just like day to God.” (Psalm 139:12) I’m beginning to glimpse God’s kingdom in my blog posts and I’m forever grateful. I want to become the person that consistently sees things this way, but in the meantime, I know I’ll be held in God’s heart just as the lake holds me when I swim. God is the One Thing that keeps me from drowning.